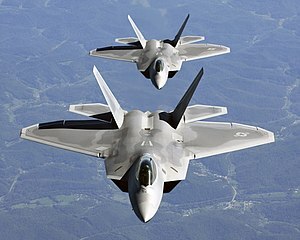 In recent weeks, this page has called for major changes in America’s armed forces: more ground forces, less reliance on the Reserves, new equipment and training to replace cold-war weapons systems and doctrines. Money will have to be found to pay for all of this, and the Pentagon can no longer be handed a blank check, as happened throughout the Bush years. Since 2001, basic defense spending has risen by 40 percent in real post-inflation dollars. That is not counting the huge supplemental budgets passed — with little serious review or debate — each year to pay for the wars in Iraq and Afghanistan. Such unquestioned largess has shielded the Pentagon from any real pressure to cut unneeded weapons systems and other wasteful expenses. 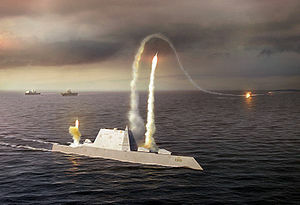 Cancel the DDG-1000 Zumwalt class destroyer. This is a stealthy blue water combat ship designed to fight the kind of midocean battles no other nation is preparing to wage. The Navy can rely on the existing DDG-51 Arleigh Burke class destroyer, a powerful, well-armed ship that incorporates the advanced Aegis combat system for tracking and destroying multiple air, ship and submarine targets. The Navy has sharply cut back the number of Zumwalts on order from 32 to two. Cutting the last two could save more than $3 billion a year that should be used to buy more of the littoral combat ships that are really needed. Those ships can move quickly in shallow offshore waters and provide helicopter and other close-in support for far more likely ground combat operations. Halt production of the Virginia class sub. Ten of these unneeded attack submarines — modeled on the cold-war-era Seawolf, whose mission was to counter Soviet attack and nuclear launch submarines — have already been built. The program is little more than a public works project to keep the Newport News, Va., and Groton, Conn., naval shipyards in business. 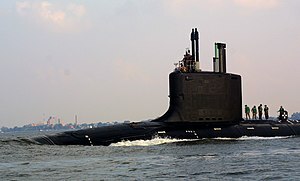 The Navy can extend the operating lives of the existing fleet of Los Angeles class fast-attack nuclear submarines, which can capably perform all needed post-cold-war missions — from launching cruise missiles to countering China’s expanding but technologically inferior submarine fleet. Net savings: $2.5 billion. Pull the plug on the Marine Corps’s V-22 Osprey. After 25 years of trying, this futuristic and unnecessary vertical takeoff and landing aircraft has yet to prove reliable or safe. The 80 already built are more than enough. Instead of adding 400 more, the Marine Corps should buy more of the proven H-92 and CH-53 helicopters. Net savings: $2 billion to 2.5 billion. Halt premature deployment of missile defense. The Pentagon wants to spend roughly $9 billion on ballistic missile defense next year. That includes money to deploy additional interceptors in Alaska and build new installations in central Europe. After spending some $150 billion over the past 25 years, the Pentagon has yet to come up with a national missile defense system reliable enough to provide real security. The existing technology can be easily fooled by launching cheap metal decoys along with an incoming warhead. 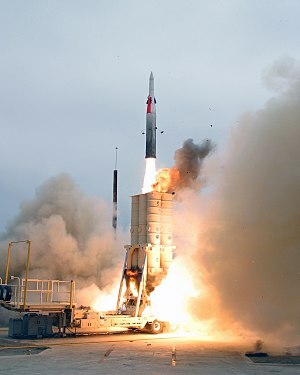 We do not minimize the danger from ballistic missiles. We agree there should be continued testing and research on more feasible approaches. Since the most likely threat would come from Iran or North Korea, there should be serious discussions with the Russians about a possible joint missile defense program. (We know the system poses no threat to Russia, but it is time to take away the excuse.) A research program would cost about $5 billion annually, for a net savings of nearly $5 billion. You are currently browsing the archives for the Arrow category.